Standing out among Negombo event venues, the intimate Conference Hall at Jetwing Sea is designed to accommodate up to 60 people in a contemporary space with a view of the Indian Ocean. In addition, the open expanse of our Lobby also features majestic views of the sea, and is available for any intimate gathering or casual event..
Conveniently situated near the Bandaranaike International Airport with easy accessibility to the capital city of Colombo, Negombo is perhaps one of Sri Lanka’s finest MICE destinations suited for a range of both local and international meetings and events on our northwestern coastline. 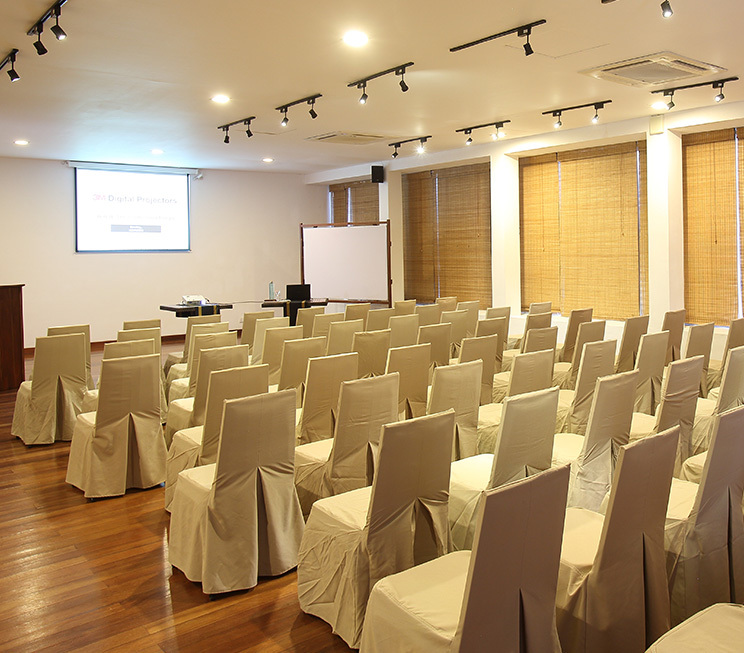 In addition to its flexible seating options, our Conference Hall at Jetwing Sea is also equipped with a host of modern facilities, including dedicated Wi-Fi access, an extensive multimedia system, pencils with notebooks, a maggi board and flipchart with markers, as well as a public address system with various types of microphones available to suit your requirements. As added pleasures of our hospitality, you may also work with our MICE team to design a customised banquet menu, and arrange for airport transfers or team building activities to create a feature-packed conference package for you and your associates.